Celebrate the wonder of Christmas! There's trouble in Bethlehem! Aaron, a shepherd at Shem's Sheep Shop, is sleeping on the job and the sheep are disappearing rapidly. The President of Wee R Sheep, Inc. (I.B. Eweing) is coming for his annual inspection and if Aaron can't stay awake and shape up, he's going to have to sheep out! 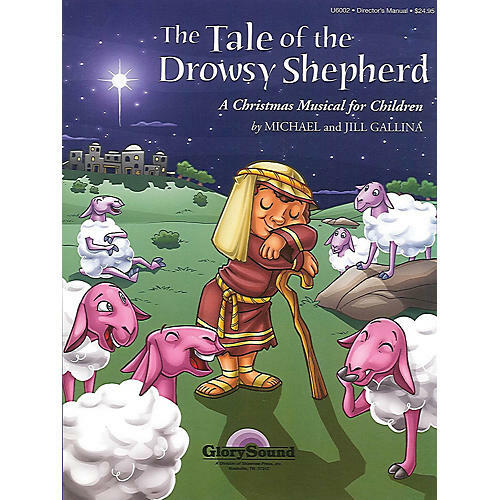 Nothing short of a miracle can change things for this drowsy shepherd... and word has it from a band of angels that a miracle has just happened in a small stable down the street. The true message of Christmas and the power of faith are presented in this easy-to-prepare and present 30-minute musical.